Okay guys. I gotta be honest. 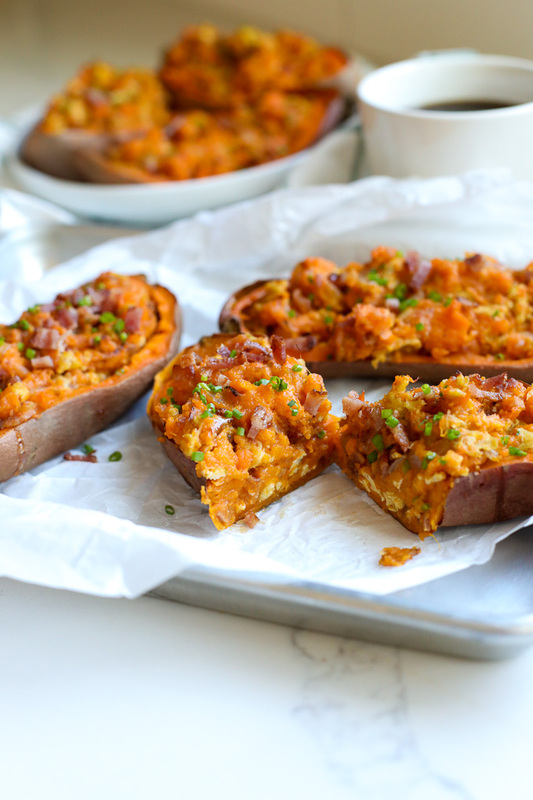 These twice baked breakfast sweet potatoes might have changed my life a little! If you know me you know I LOVE sweet potatoes. 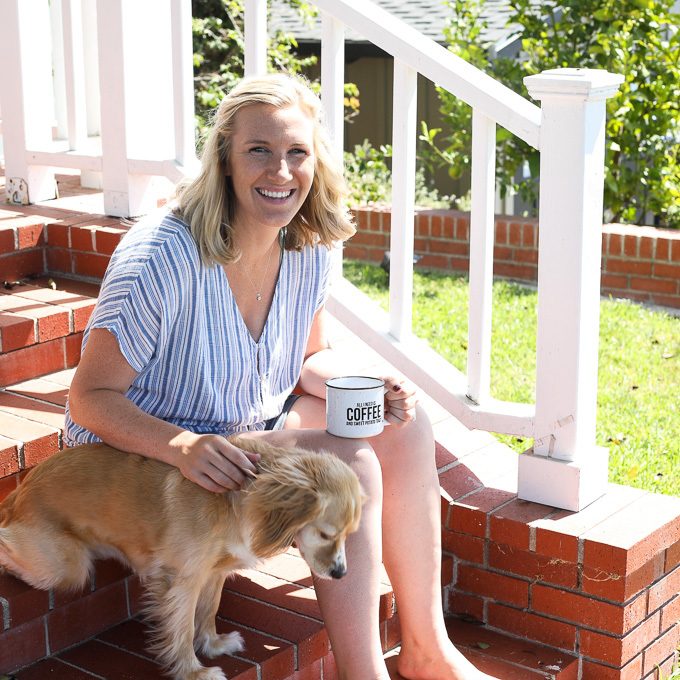 I also happen to LOVE breakfast foods – bacon and eggs specifically. But I usually have my sweet potatoes for breakfast in a hash, leftover roasted, or as toast! After stuffing sweet potatoes a few other ways, I knew it was only a matter of time before this dish made it on the breakfast table, and now I don’t know how I lived before! 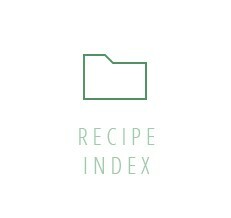 Now this recipe takes a bit of time to make so it isn’t something I would easily whip up when I wake up. BUT luckily it reheats super well so making a big batch on the weekend to last you all week is a phenomenal idea! 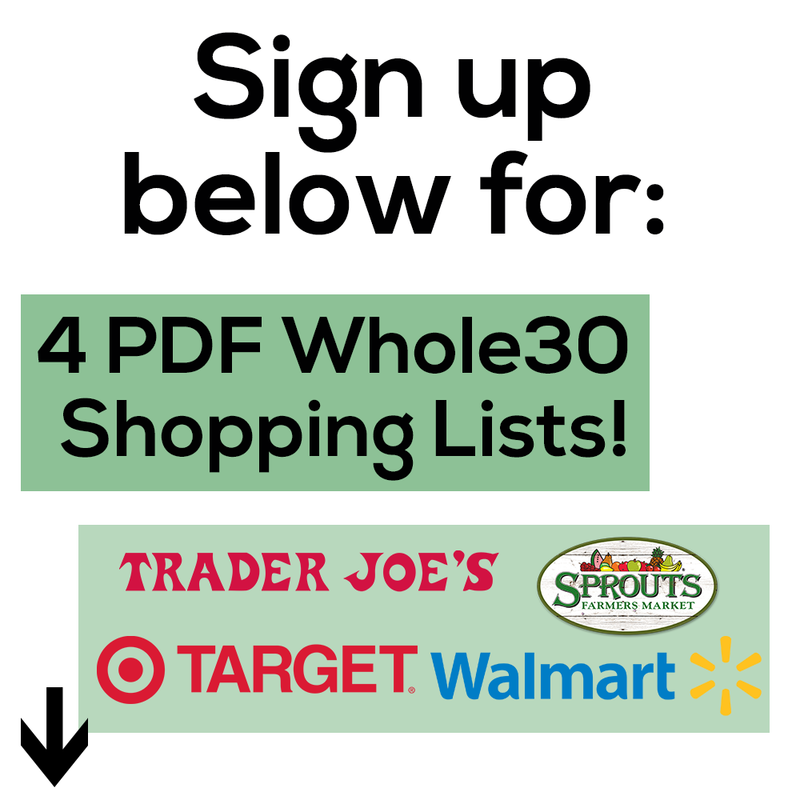 The best part is you can add any protein you want or even leave it out all together. I added bacon but I bet some chopped up chicken apple sausage would be fabulous too. 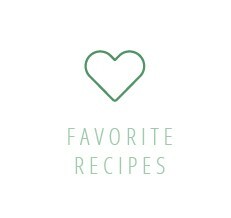 I love how just a few simple ingredients we use all the time can combine to be something so new, fresh and delicious! I also recommend this if you are hosting a breakfast or brunch of any kind. Perfect to make ahead of time in big batch and guaranteed to be a crowd pleaser. Easter brunch anyone? Pin the recipe to save it for then! Writing this post and looking at these photos is making me want to RUN home and make these right now!! 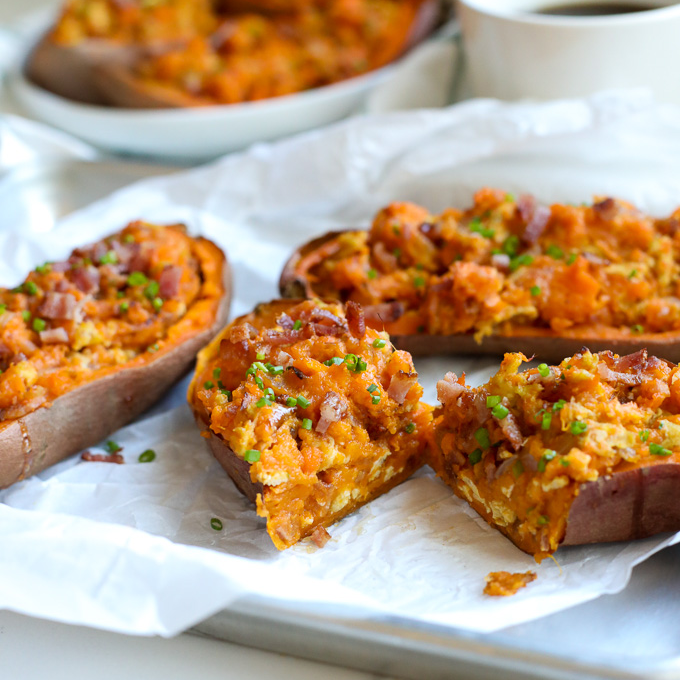 Pin the image below to save these Twice Baked Breakfast Sweet Potatoes for later! Line a baking sheet with foil and place sweet potatoes on the pan. Pierce each sweet potato 4-5 times with a fork. Place in the oven and roast for 60 minutes for large sweet potatoes and 50 minutes for medium sweet potatoes (or until they are easily fork tender). Cut the sweet potatoes in half lengthwise and let rest for 5-10 minutes to cool down a bit. While the sweet potatoes rest, cook bacon over medium high heat until crispy then set aside. Pour out some of the bacon grease and leave about 1 tablespoon in the pan. Add onions to the pan and cook for about 5 minutes, stirring often until slightly browned and soft. Remove from the pan and set aside. Break eggs into a bowl and whisk with a fork and season with a pinch of salt and pepper. Pour eggs into the pan and cook them, stirring often until scrambled and cooked through. Set aside. 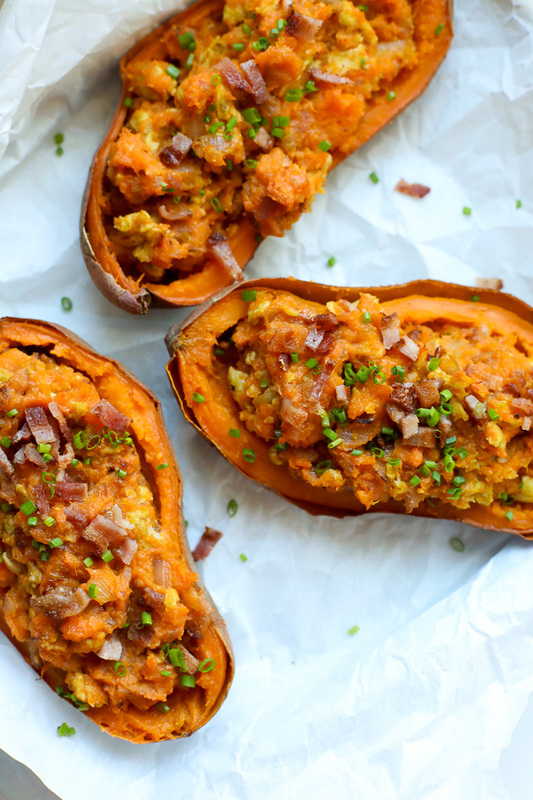 Take a spoon and scoop out most of the sweet potatoes leaving a little bit around the sides to maintain the shape. Place the insides in a bowl and mash with a potato masher or fork. Add ghee, coconut milk and garlic powder and mash together again. Season with salt and pepper to taste. Add chopped bacon, cooked onions, scrambled eggs and chives. Stir again to combine evenly and season to taste with salt and pepper as needed. 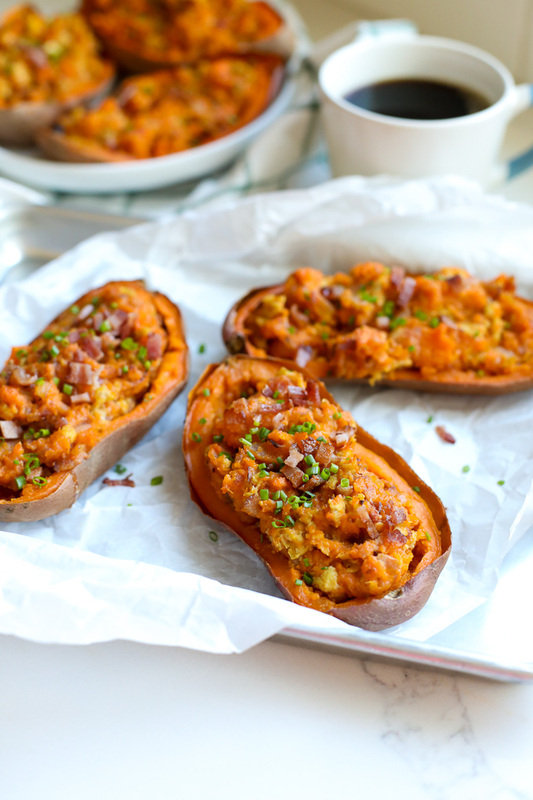 Scoop the mixture back into the sweet potato skins evenly then place on a baking sheet lined with foil or parchment paper. Bake for 10 minutes. YES!! Perfect to bring to work! If plans are to freeze some of these, should I forget the last step of reheating for 10 minutes? And if so, have you determined how long I would have to bake them after they have thawed all night? Also, can the cooking be done in the microwave both times, or will that mess up the consistency of the potato? Thank you for replying. You can cook the sweet potatoes in the microwave for the first cook! Not sure about freezing these, I have not tried it yet! I think about 4-5 days! these were AWESOME! made them yesterday and wanted to lick the bowl clean! it reheated perfectly this morning and i can’t wait for breakfast tomorrow!! These are so delicious! I admit, I the scrambled eggs mixed in sounded weird but I gave it a try and now these are in my regular breakfast rotation. I can’t get enough! Sometimes I just make a mash for easier reheating in the morning. Either way, they are divine!